Prolab ROES is a powerful software application that makes it easy to send orders to our Lab. Prolab ROES is the most cost effective and streamlined method for placing orders. 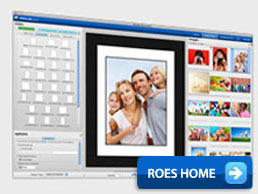 Prolab ROES offers access to a wide range of photographic print sizes. Prolab ROES offers the user the ability to select a lab -product and precisely specify crops and rotations on their images within that product. The user simply chooses a folder of images, and starts selecting from listed products in which to put them.